The other day I was trying to get a picture a butterfly. No matter how hard I tried, every time I snapped the photo I was too late. 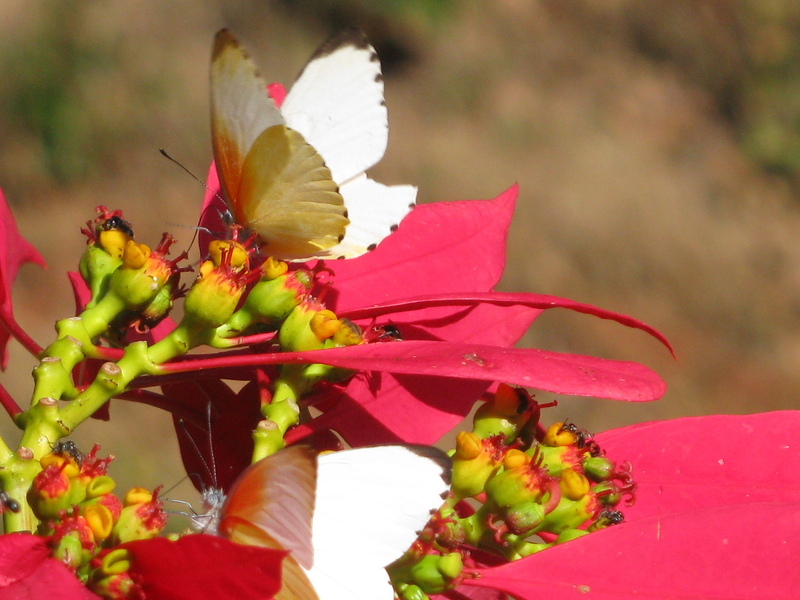 Today I was looking through my photographs and saw this one with two butterflies. Apparently I’m only successful when in Zambia. I’m packing my bags. Just kidding…but I wish. This entry was posted in Africa, Travel Photos and tagged 50 Year Project, Africa, Blog, Blogging, Butterflies, Butterfly, Life, Nature, Photography, Photos, Travel, Travel Blog, Travel Journal, Zambia. Bookmark the permalink. Wow, so colourful – and two butterflies. Well done you! Thanks Lynn…it might be the first and last time. They are quick and hard to predict. photographing butterflies or hummingbirds is a bit like trying to nail jello to a wall!! You did great. beautiful photo.. I am going to cheat for photographing butterfies and try a place called “Butterfly World” where they are indoors.. I wish too! This is a lovely rich photo! Thanks Gilly…I can’t wait to get back to Africa. I hope in the next few years but life will make the decision for me. Thanks…I love how butterflies always just fly around like they have no plan whatsoever. It must be nice. It’s hard to get good butterfly photographs. But hey, I think getting this great photo justifies another trip to Zambia! …but I understand it’s wishful thinking. Zambia is one of the most beautiful countries I’ve been too…I would love to hop a plane right now. It’s sooo hard to capture butterflies in a picture!! Nicely done! They are a challenge, but so worth it when you succeed. I wish you luck and I know you’ll succeed. I love strong colors and in this picture they are great. Thanks…I was surprised to see these colors in Africa. Really difficult to capture, mine are all blurred. This is a lovely shot, that pink is so vibrant. Thanks…these two were kind enough to cooperate. i frankly tell that i always love your natural photos. Two butterflies in one shot, it doesn’t happen often, very good. You are so kind…thanks Jo. Lucky you. I love surprises, don’t you? Great photo! Everytime I try to take a photo of a butterfly lately they fly away so quick it’s impossible to get one! I can relate to the frustration! I have the worst luck with butterflies too. The minute I get near, they take flight. Thanks…I’ll have to remember to try when it is hot, if the sun will come back out in London. Butterflies are just gorgeous… I love it when they flutter about in my garden. I love to watch them flutter around and I wonder what their life is like. They move fast and in unpredictable patterns.